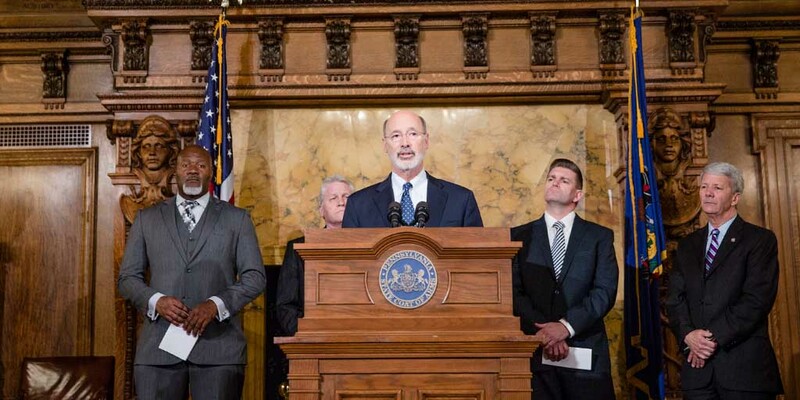 Governor Wolf today was joined by a bipartisan coalition of legislative members to announce the introduction of legislation that will create a reasonable, commonsense severance tax in Pennsylvania. 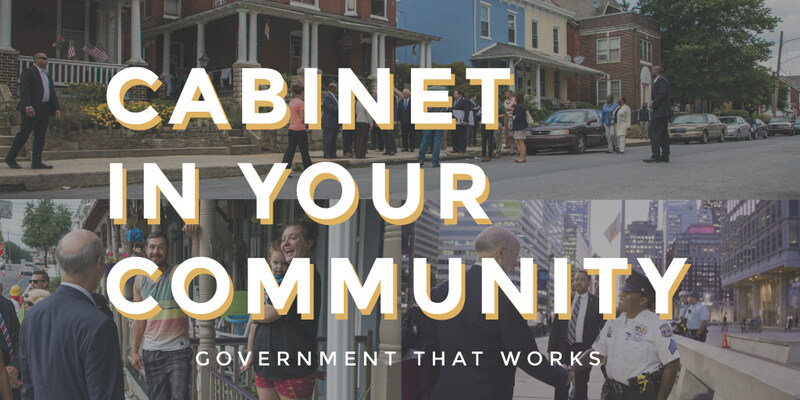 Wolf Administration cabinet officials were joined by 175 attendees including 50 college students for a Cabinet in Your Community event at Lycoming College. 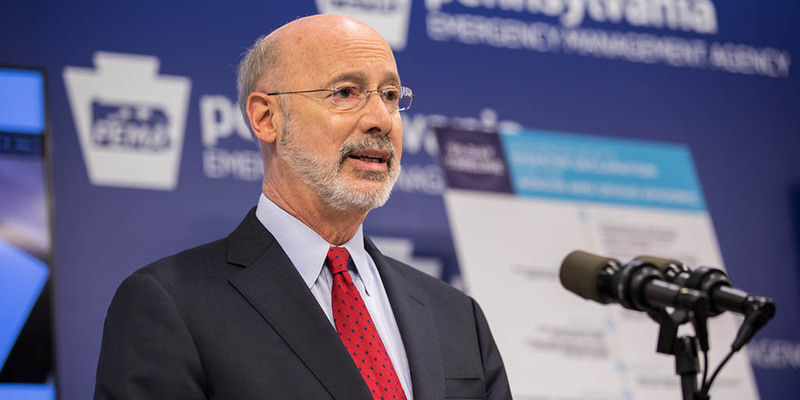 Last week, Governor Wolf outlined executive action to continue addressing the opioid crisis, announced more than 300 new jobs, and discussed his first-of-its-kind PAsmart proposal to significantly invest in skills training for 21st century jobs. 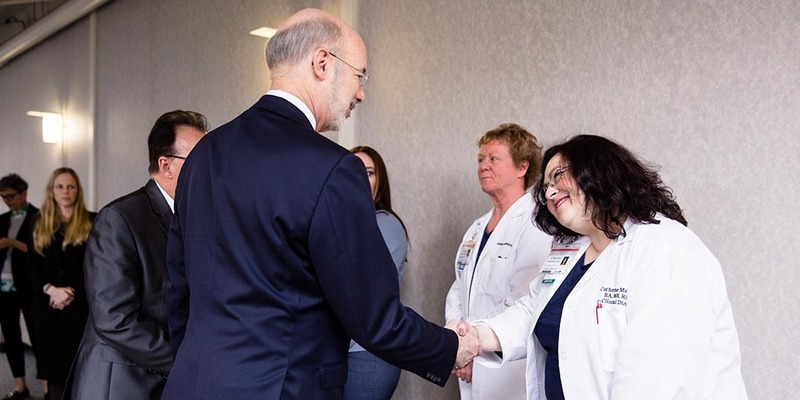 Governor Wolf was joined by state Representatives Mike Schlossberg and Peter Schweyer, as well as St. Luke’s University Health Network leaders and physicians to celebrate the positive economic and health care impact of expanding Medicaid in Pennsylvania. 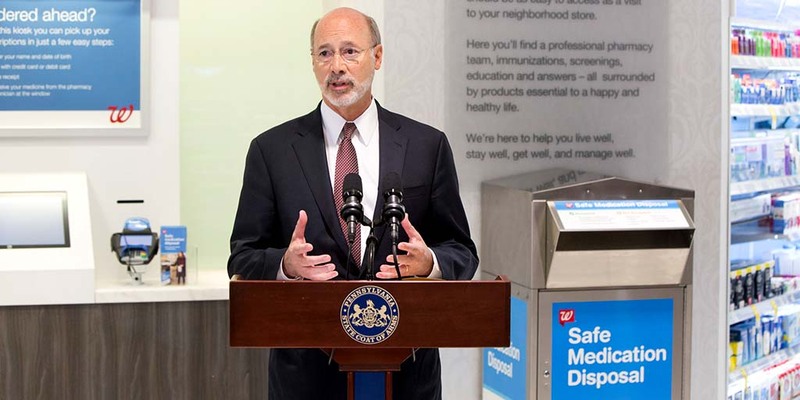 Governor Wolf reminded Pennsylvanians that amid his continued heroin and opioid disaster declaration, disposing of old, unneeded or expired prescriptions can help decrease access to powerful opioids and other prescription drugs.